Noted British Landscape painter Joseph Turner was a devotee of sun-staring or sun-gazing, which involves staring with the naked eye directly at the sun. Scientists had previously used the camera obscura to protect against the blinding brightness of the sun. Turner directly confronted it. Like Turner, many artists in The Sun Placed in the Abyss also look directly at the sun, substituting their eyes with a camera. 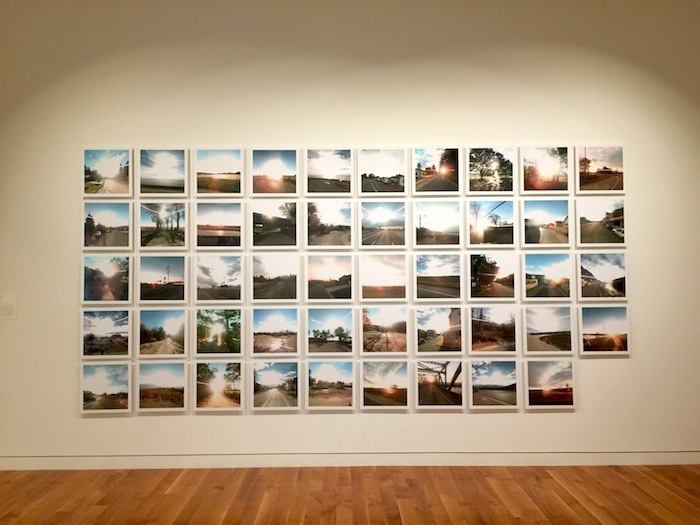 The “Into the Light,” section showcases artists who have pointed their camera at the sun or used sunlight as a medium itself. For many of them, the sun has provided the perfect universal and fixed thing from which to explore subjectivity, vision, and representation. For this assignment you have until Monday November 28, 2016.